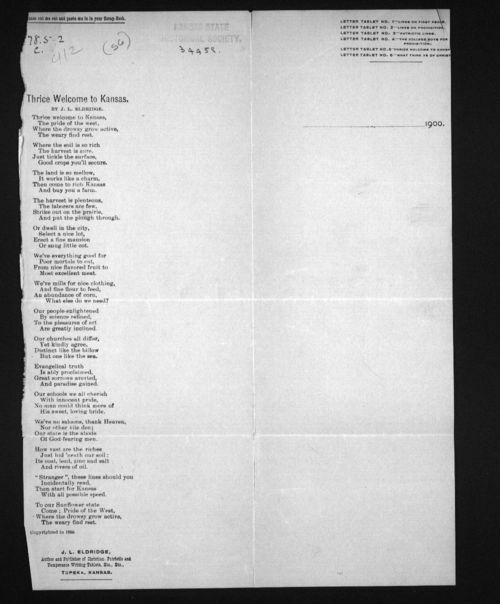 A piece of stationary with a poem printed on the side. The poem, written by J.L. Eldridge of Topeka, Kansas, speaks of Kansas' rich offerings; from the soil in the fields to the people in the cities, the state has much to offer.